I was introduced to your Web site by one of my college professors Karen Howe in her Psychology of Power, Oppression, and Privilege class. I found many of your examples of historical and modern racism very real and startling. 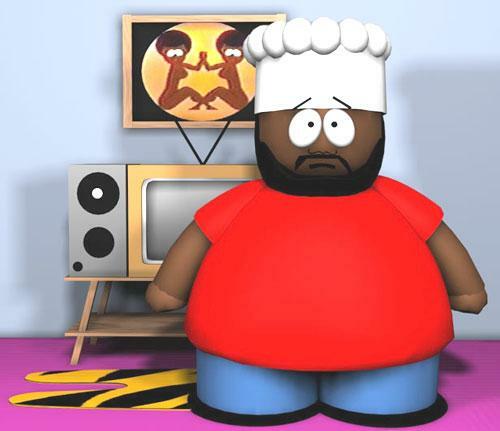 In your "New Racist Forms" page you have examples of Pokemon characters and some other very recent black racial stereotypes, but one character I felt you left out is the character of "Chef" on the South Park cartoon series. 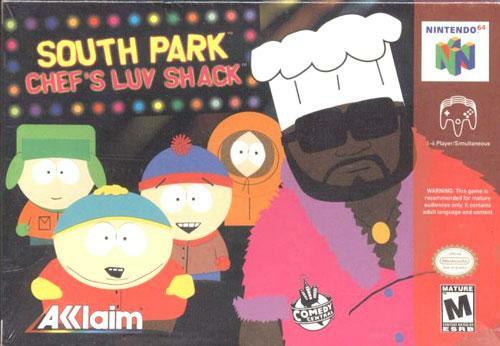 Chef is a large very dark skinned black cook who works in the school cafeteria and talks with the stereotypical uneducated language of older black caricatures. 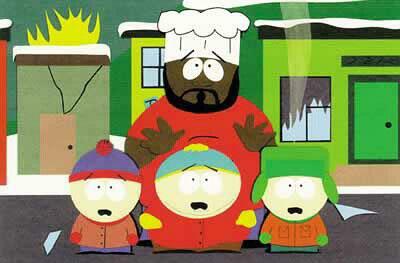 Chef's character often emphasizes modern racist caricature roles in the South Park cartoons as well. You will have to do some of your own research so you can put a more educated spin on this modern racist character, but I thought Chef needed a spot on your Web site.